Analysis: The attorney general offered hints by what he included in his communication to Congress — and what he left out. It has arrived. 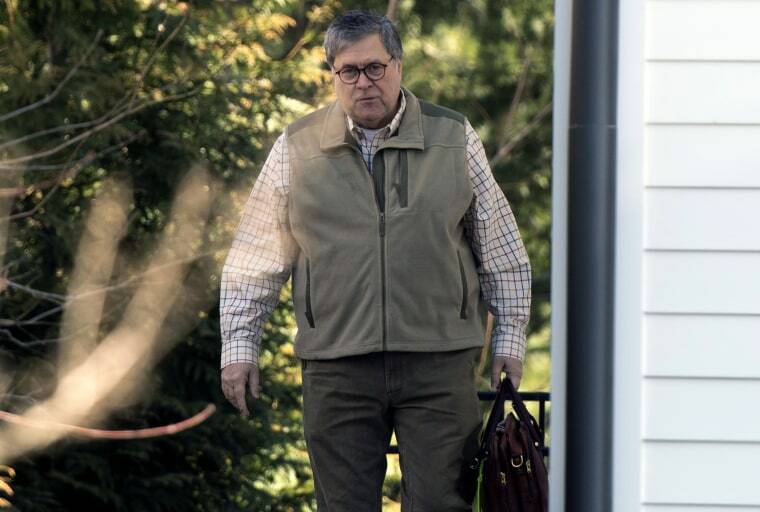 The "Barr Letter," the much-anticipated sequel to the "Mueller Report," came just two days after the final submission of the original report of the special counsel charged with investigating Russian collusion and obstruction of justice. Among the blockbuster conclusions in the letter are the determinations by Attorney General William Barr that there was no obstruction of justice by the president. Glaringly, Barr's letter quotes Mueller himself as stating that "while this report does not conclude that the President committed a crime, it also does not exonerate him." The text of Barr’s summary is key. Barr may be offering hints within the text, and by what is also omitted in his letter. The president is not exonerated as to obstruction. The most significant inference for the House of Representatives is that the conduct could still be impeachable, even if it’s not criminal. Barr makes liberal references to Justice Department standards governing when to prosecute and when not to, adding that he applied the "principles of federal prosecution that guide our charging decisions." Then there's the “Constitutional” issue. Barr’s determination that there was no obstruction-of-justice charge wasn't based on the question of whether it's possible to indict a sitting president, he said. The Justice Department's long-standing policy, based on a 2000 Office of Legal Counsel opinion, is that a sitting president can't be indicted. Barr says he never got to the point of considering that issue, which means that the obstruction issue was resolved without having to consider whether a president can be indicted. But can a president can obstruct justice? That's a completely separate issue — though it's easily conflated with the indictment issue. It also happens to be an issue to which Barr dedicated an unsolicited memorandum before he was attorney general. Barr concluded, among other things, that "simply by exercising his Constitutional discretion in a facially-lawful way — for example, by removing or appointing an official; using his prosecutorial discretion to give direction on a case; or using his pardoning power," a president cannot be accused of a crime.